ARP Honda and Acura Main Stud Kits, There are many important reasons to use ARP Main Stud Kits, for Honda and Acura including the elimination of main cap walk and fretting, as well as protecting the threads in your engine block. 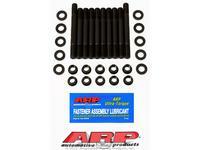 The ARP Main Stud Kits, For Honda and Acura are manufactured in ARP own factory using the best materials, processes, designs and engineering. 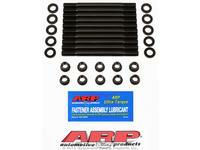 Every ARP main stud kit exceeds the most stringent aerospace specifications. 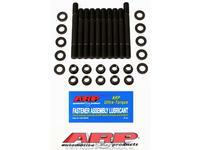 All kits come complete with hardened parallel-ground washers and aerospace quality nuts. 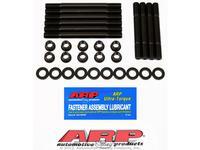 Parallel-ground, hardened washers are included with each ARP Honda and Acura Main Stud Kit. The ARP Honda and Acura Main Stud Kits are manufactured from 8740 chrome moly steel, heat-treated in-house to 200,000 psi tensile strength, and precision J-form threads rolled after heat-treat to create a fastener that has threads 1000% stronger than others.